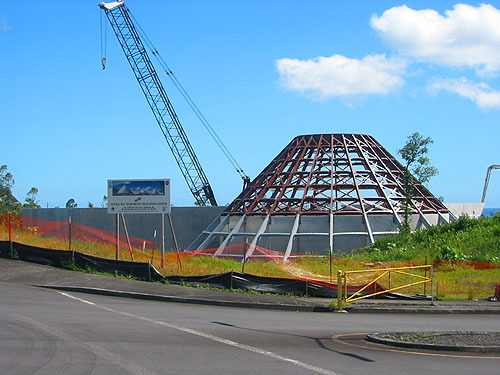 A strange new site in the hills above Hilo greets visitors flying into the Hilo Airport. 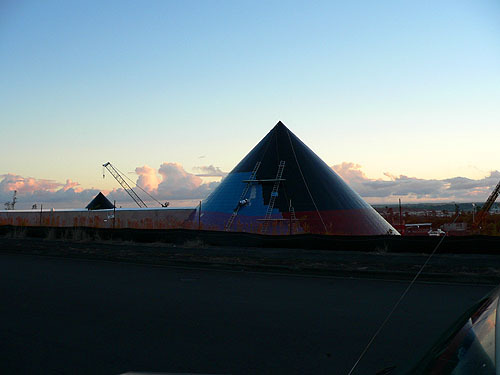 Nestled in and around homes are three huge shiny upside-down cones. These strange, futuristic shapes are all part of a $28 million dollar, NASA sponsored public facility that is expected to draw 250,000 visitors a year. 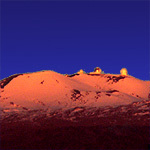 The mission of the Center is to help educate people as to the wonderful and beautiful discoveries happening every day at the summit of Mauna Kea and in the field of astronomy. 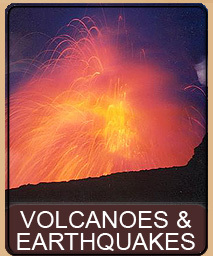 The Center is located in the University of Hawai'i Park of Science and Technology, in front of all the Hilo Base Observatory Facilities. 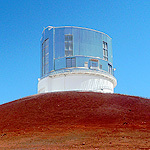 The three cones are covered in titanium with the center cone having a glass peak. 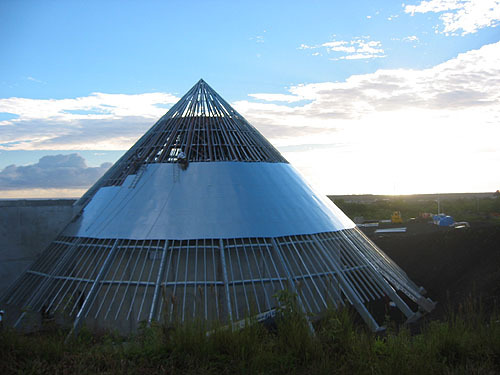 The three cones represent three of the Hawaiian mountains with the middle, glass covered cone being the main entrance and the largest cone being a state of the art planetarium and the final cone a restaurant. 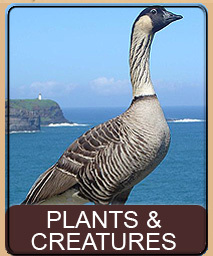 Also included is a large, 12,000 square foot exhibit hall with interactive exhibits, conference rooms, a comprehensive astronomical library, and a gift shop. The Center will also offer traveling exhibits that will visit local schools and special events as well as a series of educational programs. 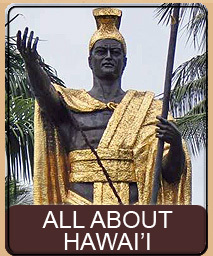 Not only focusing on astronomy, the Center will incorporate ancient Polynesian and Hawaiian understanding of the stars and how that knowledge along with today's exciting discoveries are helping us learn more about our universe. 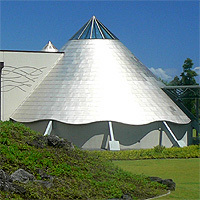 The planetarium dome is 52 feet in diameter and 60 feet high and holds 120 people including room for up to four wheelchairs. Besides state-of-the-art star shows the planetarium features a cutting-edge laser light show (no pun intended) and specially designed surround sound audio system. 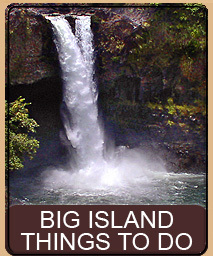 The entire facility has a commanding and unobstructed view of Hilo Town, Hilo Bay and the ocean. 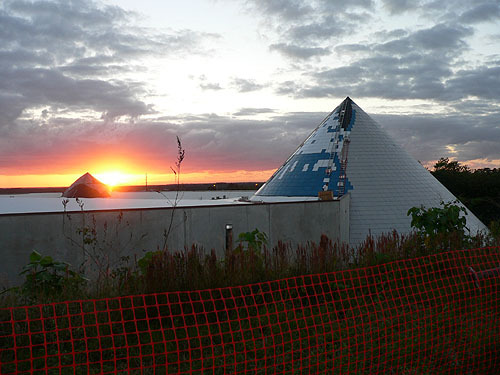 Work on the building began on May 10, 2004 by the pouring of the concrete slab. The walls went up amazingly fast, being prefabricated on the spot and then lifted into position by crane. Literally overnight the site went from no walls to complete walls, an amazing sight to behold. For as fast as the walls went up, the coating on the cones was slow. The cones were first girded up and then cross connected. The resulting grid was then wrapped in sheet-metal and then coated in a black, waterproof glass fiber barrier, and then finally coated painstakingly by hand in small squares of titanium. The square were initially a beautiful blue, which we hopped would be the final color, but the blue turned out to be a plastic protective layer that came off to reveal a whitish finish. 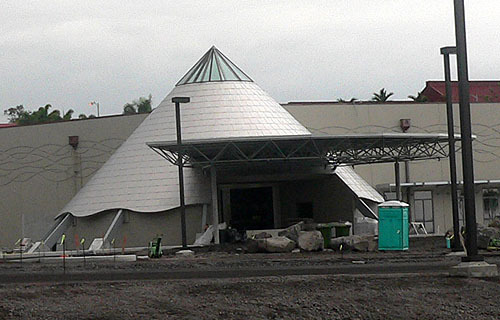 Currently most of the outside of the dome is complete and the parking lot is in place and landscaping is going up. 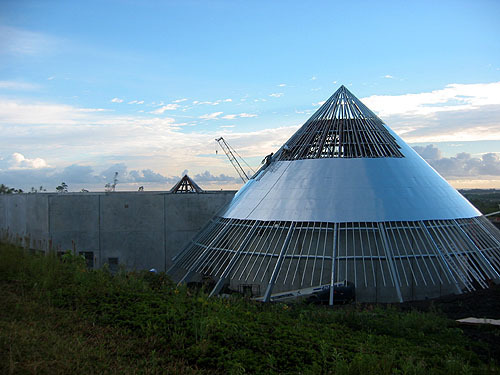 We are certain that the inside is a flurry of activity as the dome is scheduled to open sometime later this year (2005). Below are some pictures of the construction of the Center. 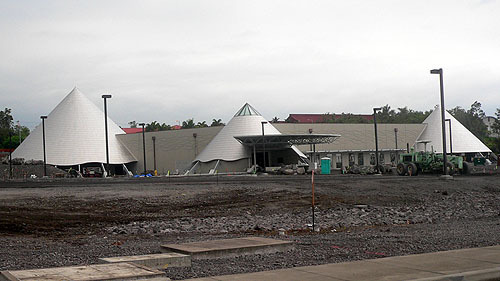 We will continue to update this section as progress continues on this exciting addition to our Hilo community. 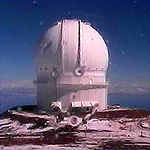 For other resources about the Mauna Kea Astronomy Education Center you can visit their website here or see an amazing move of the construction here". 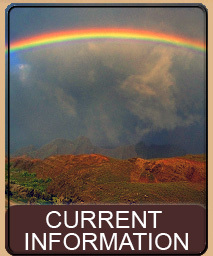 IMPORTANT NOTE: 'Imiloa is now officially open! You can read our full review here. The planetarium dome is framed in and the walls are in place. The sheet-metal covering is applied. Another picture of the sheet-metal coating. and the titanium panels are being applied. 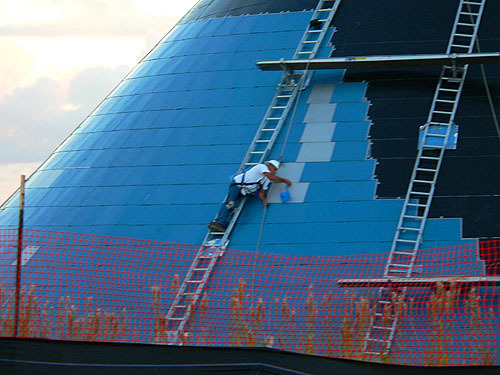 A closeup of a worker applying the titanium panels. Blue panels have a protective paper. The white panels have the protective paper removed. The planetarium is almost completely covered in titanium. The front of the building on April 29th, 2005. All cones are covered in titanium. The middle dome is the entrance and has a glass peak. 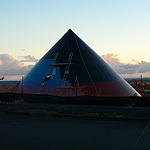 A closeup of the entrance with glass peak. 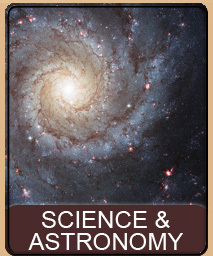 This page is named 'Astronomy.edu'. Can't Find It?